This moral tale about the sins of the fathers (and mothers), with the strange humour that only siblings can display to each other, reveals once again the great skills of director Lewis Gilbert (who was 81 when filming started). Based on a stage play by renowned playwright Shelagh Stephenson, and almost entirely shot on location on the Isle of Man, “Before You Go” is one of the best British films in years. 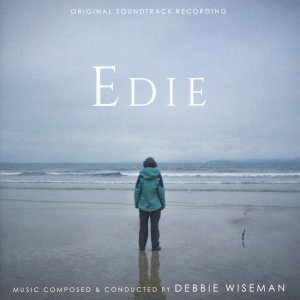 Debbie Wiseman’s score is haunting and provides this beautifully made film an air of melancholy (which it practically needed). In addition to its great photography and editing, this film is an actor’s movie (as you can see by the list of great players): Julie Walters is just as admirable as always in her leading role, and so are Whalley, Hodge, Hamilton and Cassidy. John Hannah and Tom Wilkinson have little to do in their supporting roles (this is a woman’s movie, too), yet they are always convincing. The movie’s newcomers, Jamie Sives, André Schneider and Joanne Morley, are definitely worth watching, although their scenes are cut quite short (and were entirely deleted for the US release). “Before You Go” is, although described as a “black comedy” by its producer, Eoin O’Callaghan, a psychological drama with a few bittersweet jokes thrown in by its leading ladies. A sad story about wasted lives.